A long, long. time ago there was an epic battle between Nerds and Jocks. One assumes the battle began when the first Nerd invented the wheel and the first Jock beat him up and took his lunch money. From the dawn of man until Steve Jobs Nerds were fair game for jocks to bully. In fact from recorded history through the last century jocks were free to savagely attack nerds with little to no repercussions. 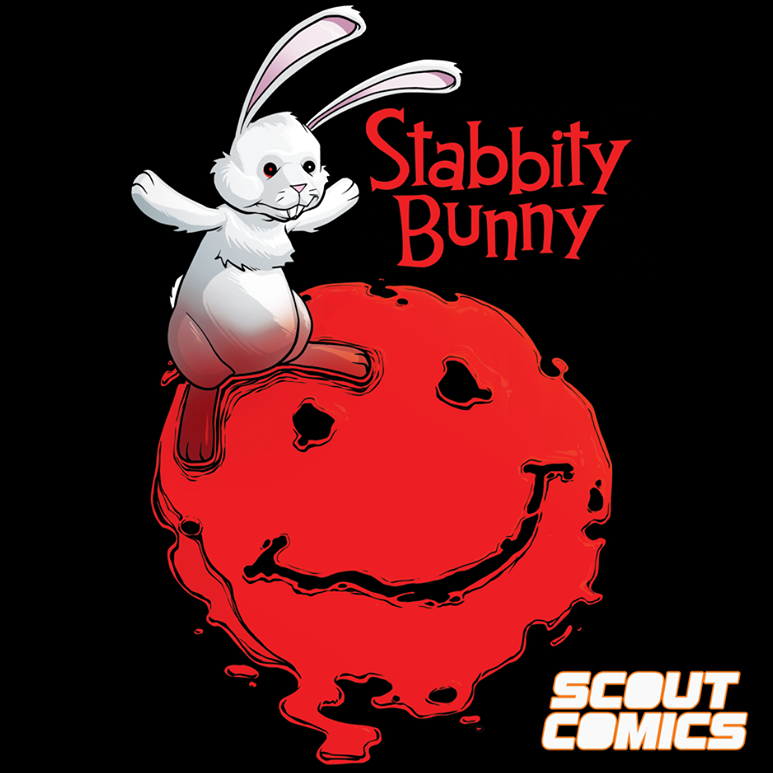 Paul Constant takes us back to those bygone days in PLANET OF THE NERDS. 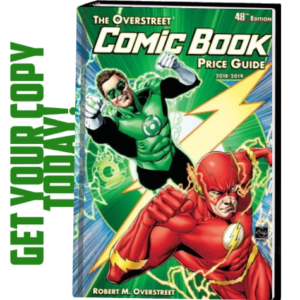 Paul was nice enough to stop by First Comics News and let our readers know what to expect from his band of time traveling jocks. 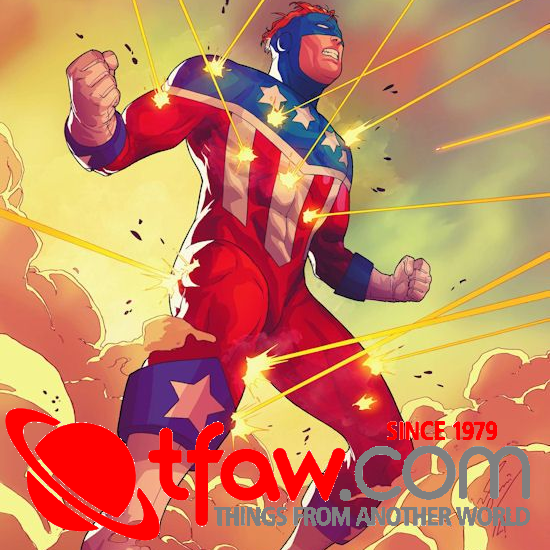 First Comics News: Who are Chad, Drew, and Steve? 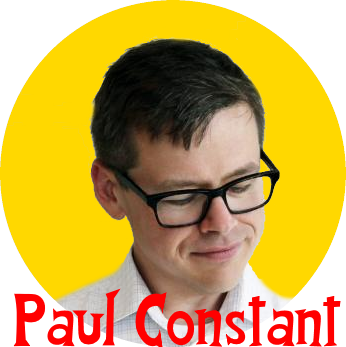 Paul Constant: They’re three jocks from a California high school in the year 1988 who are frozen in a freak cryogenic accident, only to be revived in the year 2019. Being jocks, they’re horrified to learn that our modern world is completely dominated by nerds and nerd culture: computers and superheroes are ubiquitous, Bill Gates and Mark Zuckerberg are icons, and computer programming is considered one of the best jobs a college graduate can attain. Of course, the three of them immediately decide to “fix” the social order by putting jocks at the top of the food chain again. In short: they declare war on the nerds. The artist on Planet of the Nerds, Alan Robinson, did an amazing job designing these characters and bringing them to life—they’re very funny, very physical, very fun to watch. 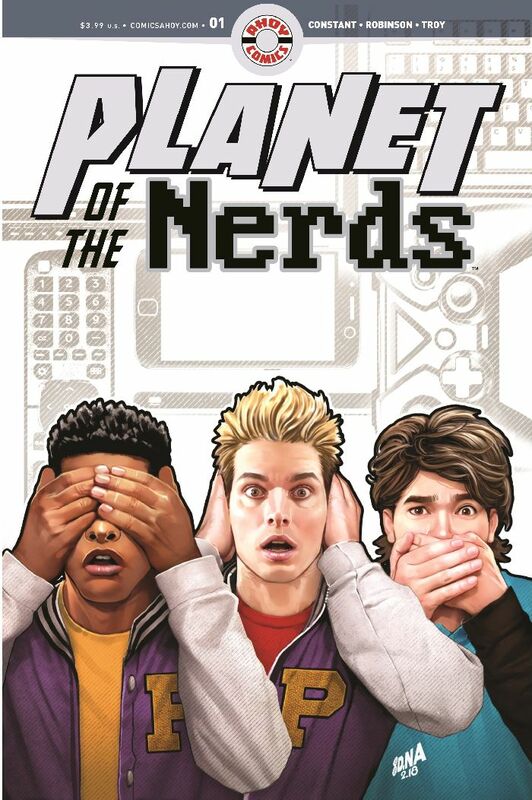 Paul: Alvin is the nerd that Chad is beating up on the first page of Planet of the Nerds. 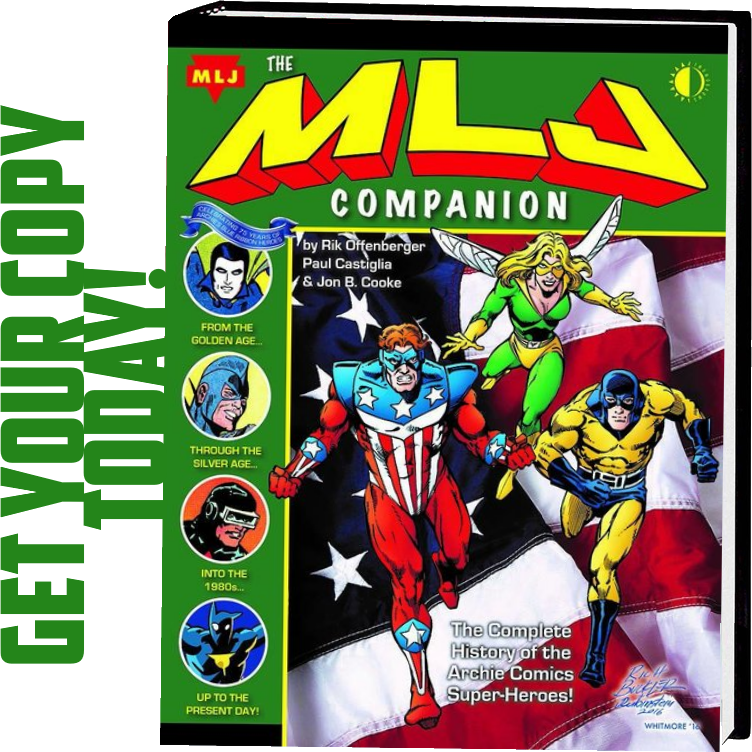 We learn later on in the issue that Alvin is working on a science project that has fateful consequences for Chad, Drew, and Steve. 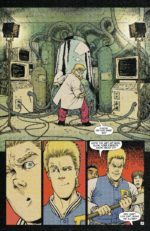 Alvin also stars in a backup story, beautifully drawn by Randy Elliott, that gives us some more insights into his goals and his background. 1st: What fuels Chad anger? Paul: We’ll learn more about Chad’s life as the story goes on, but it’s safe to say from the first page on that he’s a pretty toxic dude. Just as a baseline, it’s important to remember that—especially in the 1980s—young men were primed to be super-aggressive. It’s hard to believe now, but bullying was tolerated, even encouraged, in a lot of high schools. Paul: He certainly does seem uncomfortable when we see him out on a date with his girlfriend, doesn’t he? 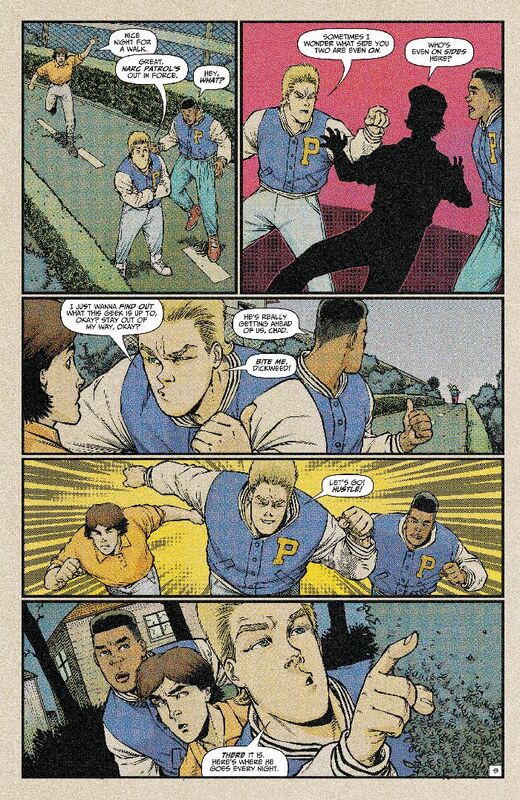 All of our jocks have secrets that are haunting them, and we’ll learn all about those secrets in upcoming issues. 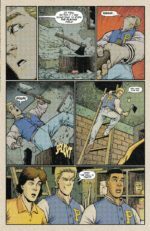 My hope is that you feel differently about all of them—yes, even Chad—in the fifth issue than you did in the first issue. 1st: Chad hates nerds—how does he feel about homosexuals? Paul: It’s safe to say that he’s probably very homophobic. But you should also remember that the 80s were a wildly homophobic time. If you watch practically any comedy from the 1980s, you know that gay people were routinely mocked and openly hated in America. So many TV shows and movies featured characters who spoke in exaggerated lisps and wore ridiculous clothes, and those characters were played strictly for laughs. It’s shameful to think about now—but it was only thirty years ago! If you’d told Chad back in 1988 that in less than three decades, gay people would have the right to marry in every state of the union, he’d either laugh at you or try to punch you. It’s a reminder that even though we’ve come a long way, it wasn’t so long ago that Chads were the norm, not the exception. 1st: For modern readers, how can Chad get away with viciously assaulting Alvin back in 1988? 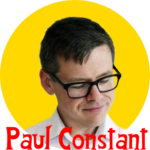 Paul: As I said earlier, bullying was considered to be a fact of life at the time—even a social good, a way to teach kids to toughen up and to conform to normal behavior. 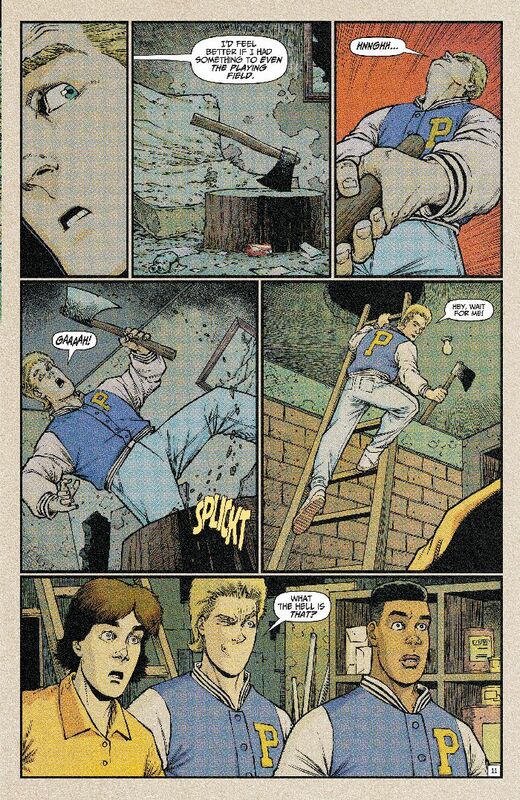 I was a total nerd in high school in the early 1990s, and while I didn’t have any Chads relentlessly tormenting me in my life, I got batted around pretty good sometimes. I had gum thrown in my hair on a school bus, I was thrown down some stairs in between classes, I had my backpack turned upside down and my homework scattered around the schoolyard. All of these things happened in full view of authority figures, who just looked the other way. It’s wild to think about now, but at the time bullies were just considered to be a part of school life. I’m glad times have changed. 1st: How did Chad, Drew, and Steve travel 31 years forward in time? 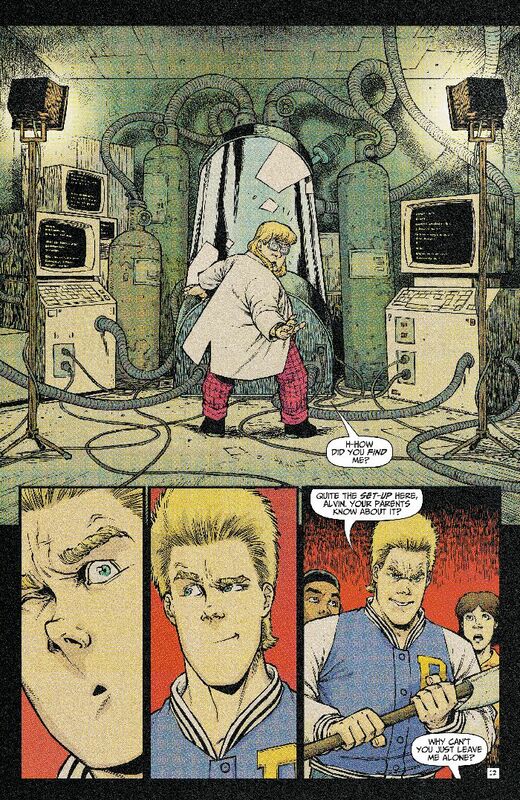 Paul: As we see in the first issue, one of Alvin’s cryogenic experiments gets a little…out of hand. But that accident is the result of a few bad choices. Both Chad and Alvin make some bad decisions around the accident that will continue to follow them through the story. 1st: What do Chad, Drew and Steve’s parents think happened to their kids? Paul: We’ll learn the answer to that question in the second issue, I promise. I don’t want to keep readers hanging for too long in this book—the goal is to keep throwing curveballs that bring you back wanting more. All will be revealed! 1st: Was this a one way trip for Chad, Drew and Steve? 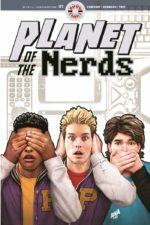 Paul: Planet of the Nerds is a lot of different kinds of stories mashed together: it’s a comedy, and an action book, and a social satire, and an adventure comic. But at its core, it’s a science fiction story. And I’m a big believer in the “change one thing” theory of science fiction—that is to say, most good science fiction enacts one big change or adds one new thing to the world as we know it, and then the rest of the story is about what happens next. All this is to say that the book relies on one big leap of faith—that cryogenics can successfully freeze and revive three human beings thirty years later with no ill effects. I think to add a time machine late in the book would probably feel like a deus ex machina, and readers wouldn’t buy it. So unless something extreme happens, it sure seems like the jocks are stranded in the present day. 1st: What has become of Alvin over the 30 years since high school? Paul: We will see Alvin soon enough in the present, and what happens to him is one of the central questions of the book, so I don’t want to spoil that. But I do want to say that the way these characters interact in the present day will hopefully surprise you, and the way this story unfolds will hopefully make you think twice about blithely slapping a label on someone without knowing them. 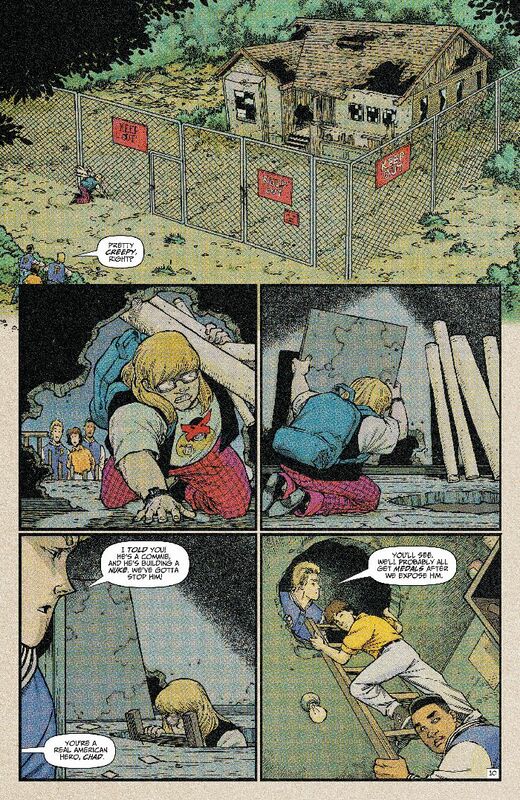 I’ve learned a lot about myself writing Planet of the Nerds: Putting these two times together really reminded me how far we’ve come as a society—and how far we still have to go.